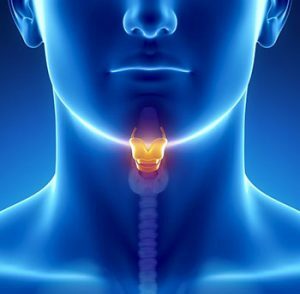 Fatigue, weight gain, dry skin and hair, low mood and constipation are some of the classic symptoms of low thyroid hormone. Sometimes hypothyroidism is caused by high stress even though the thyroid gland is working perfectly. In this scenario, stress-lowering protocols are very effective at improving thyroid hormone levels. To understand how stress influences thyroid, here is a brief synopsis. In the thyroid gland, T4 is made which travels through the blood and enters the body cells. Here, T4 is converted into T3 which is our active thyroid hormone and is responsible for the rate at which the body runs, ie metabolism. When levels of T3 are low, the body “runs” slowly and symptoms of hypothyroidism are seen. However when we have high or chronic stress, the conversion of T4 into T3 is suppressed by the hormone cortisol aka stress hormone. Sometimes T3 therapy is required to improve the metabolic rate but often cortisol reducing activities, diet and supplements are very effective. Nutrients that support proper conversion include selenium, zinc, magnesium and Vitamin A.
Phosphatidylserine (PS) is a naturally occurring component of cell membranes and is found at high concentrations in the brain. Clinical trials have found PS to have a significant relationship to cognitive skills such as memory, concentration and learning. Since PS helps with cell-to-cell communication, it has also been shown to decrease the stress response in the brain leading to lower cortisol production. Typically PS is a part of most oral supplements geared towards lowering cortisol and stress. Upwards of 800mg per day were given to healthy volunteers prior to exercise-induced stress and then compared to a placebo group. The PS group showed significantly less cortisol and stress response. A new topical PS product has been developed locally in BC and is showing promising results. Much less PS is required when applied to the skin in a cream than orally and the action is more immediate. Uses for topical application include insomnia, stress and depression. We have been using the cream with patients at Vitalia over the last few months with good results.